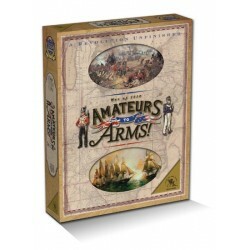 > Wargames>Guerres du XIXème siècle>Amateurs to Arms ! 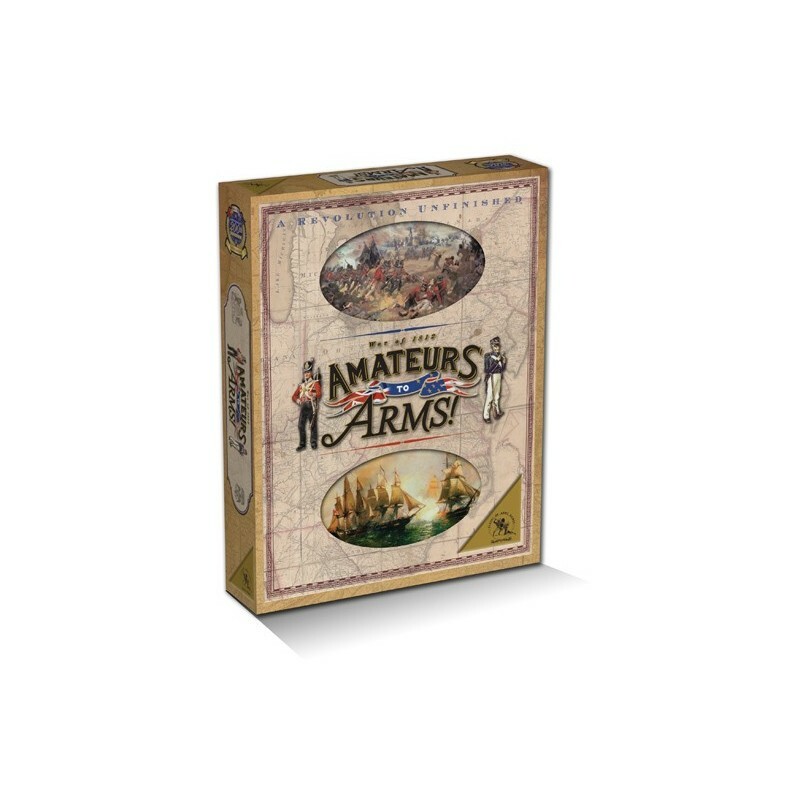 Amateurs to Arms ! est un jeu à cartes d'activation ("card driven") portant sur le conflit de 1812 qui opposa les anglos-canadiens aux Etats-Unis d'Amérique. le matériel est de belle facture et une partie jouable en 3 heures. En savoir plus sur Amateurs to Arms ! In time for the 200th Anniversary of The United States' ill-fated invasion of Canada, Amateurs to Arms! is a historical simulation of the War of 1812, playable in 3 hours or less. One player commands the British/Canadian forces, while the other plays the Americans. The game includes all of the theatres of battle including the US/Canadian border and the Great Lakes, the wilderness of the Northwest, the Atlantic Coast of the US, the civilized Indians of the South and the site of Andrew Jackson's dramatic victory at New Orleans.